One of the best parts of living in Seattle — the local gems tucked away in the city’s diverse neighborhoods. One of the best parts of living in Seattle is spending weekends discovering the hidden hangouts tucked away in the city’s diverse neighborhoods. Check out these 10 secret spots that are under the radar of most tourists. The public art plaza, nestled on the south side of the Merck Rosetta Laboratories, offers a ping-pong table that can double as a picnic table if nobody’s waiting to play a game. This respite from the surrounding bustle of one of Seattle’s busiest neighborhoods for work and play is defined by a three-sided planter with tall bamboo, a scored concrete “rug” and a catenary light fixture suspended over the table. Bring your own paddle and balls! This lesser-known gallery of the Seattle Art Museum, located in the heart of the city, makes it affordable to cover the walls of your home in style. The SAM Gallery, tucked away in the back of the SAM gift shop, is stocked with a wealth of more than 1,000 paintings, sculptures and other artwork by Northwest artists. Anyone with a SAM membership may rent artwork for three months at a time, with an option to purchase. This glassworks studio and gallery is a treasure trove of hand-blown gems, from Dew Drops-Dear Hearts to vintage ornaments in colors like toasted marshmallow and peach sorbet. 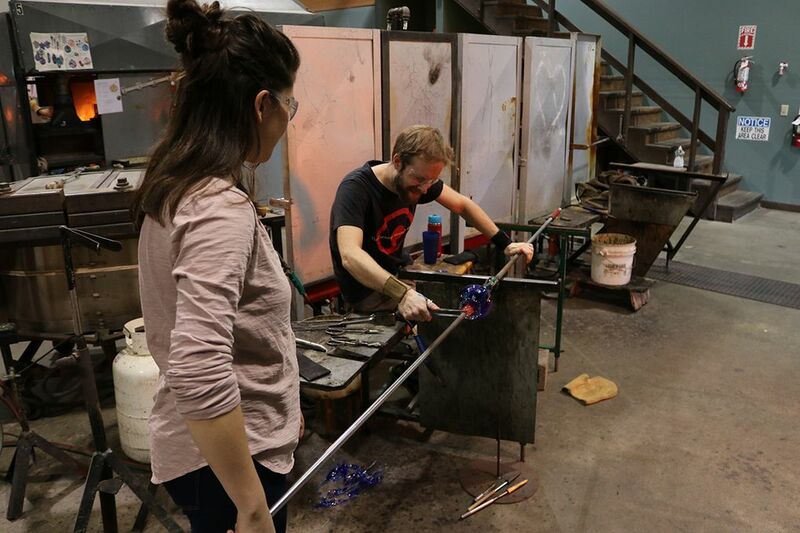 Take a tour and watch the glassmakers in action, and then walk a few blocks to tour (and sample!) at Theo Chocolate. Four generations of the Petosa family have worked at Petosa Accordions since the business was founded nearly a century ago. Even if you aren’t in the market for a squeezebox, stop by to check out the impressive collection in the lobby museum. There are more than 100 models, including the first accordion made by Carl Petosa in 1922. You’ll see why architect Steven Holl chose “A Gathering of Different Lights” as the guiding concept for the design of this breathtaking chapel. Seven glass lenses cast soft hues of light across different sections of the building, adding a sense of wonder and serenity to the contemplative space. This is a perfect example of one of the many pocket parks, peaceful little neighborhood respites, in Seattle. Bradner is particularly beautiful with its peek-a-boo views of the Olympic Mountains and downtown. 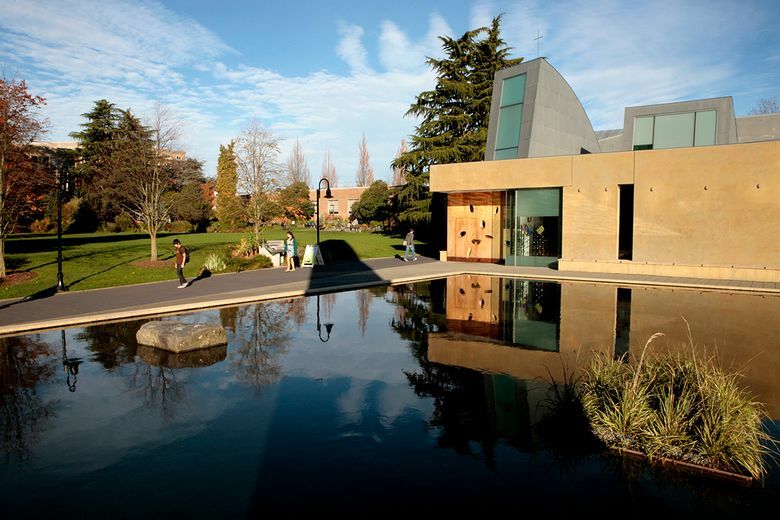 Check out the volunteer-farmed P-Patch, kids’ garden and demonstration gardens; a busy basketball court; plus, all sorts of artful elements, including a pavilion with a leaf-shaped roof designed and built by University of Washington architecture students. This book and stationery store housed in the mouth-watering Asian grocery Uwajimaya is a wonderland of colors and joy. It’s the perfect place to explore on a rainy Seattle afternoon. You could spend hours browsing the notebooks and journals, pens and pencils, desk accessories—and, of course, books! During a sunbreak, treat yourself to a bubble tea in nearby Chinatown. This funky, small neighborhood park epitomizes Ballard cool. Lounge on the full set of living room furniture, or channel your inner child on the abstract jungle gym. There’s also a great walking path to burn off a morning pastry and latte from the Ballard Farmer’s Market, held every Sunday rain or shine. If you’re a gaming geek, here’s the place to go with a group of friends or solo to make new friends. Both locations offer an extensive library of games to play for free while snacking on a burger or salad in the main restaurant, as well as two additional gaming rooms. Check out the online events calendar for dates of scheduled tournaments. Tap into your wild side and an adrenaline rush while soaring among the treetops at speeds of up to 35 mph! Make sure you bring a light jacket on this two-and-a-half-hour jungle adventure, as it can get windy — and don’t forget your cellphone for photos!